The title of this song is exactly that of the famous Federico Fellini movie. I met Fabio Roscioli in Rome thru an add placed in a music magazine. He was looking for a keyboard-player for his band and I was obviously looking for a singer. 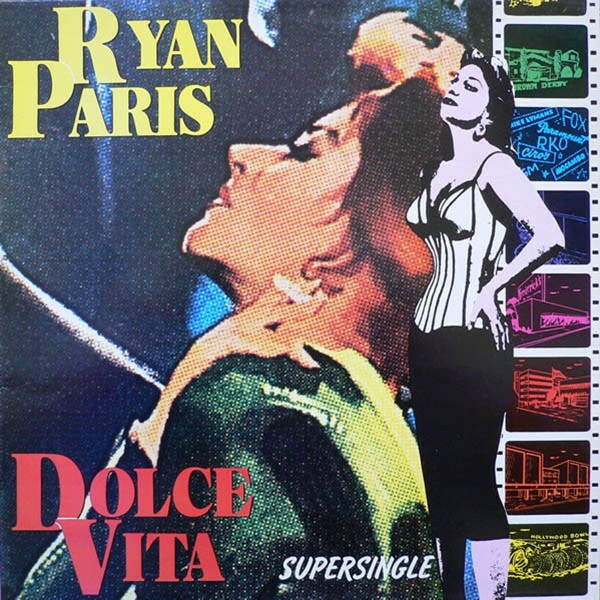 When I heard his voice, I immediately knew that he was the perfect performer for "Dolce Vita": Ryan Paris was born. The lyrics were written by Paul Mazzolini, aka "Gazebo", singer for whom I had created and composed various hits, one of them "I like Chopin". I produced and arranged "Dolce Vita" in Rome, in the "Titania" studio, using the "minimoog", the "Oberheim OB-8", the electronic drum "DMX" and the acoustic piano. "Dolce Vita" was a big success in all of Europe, even reaching the third position in the english top-ten. This had rarely happened with an italian pop-dance production, as a result "Ryan Paris" appeared a guest on the famous BBC show "Top of the Pops". When I had first proposed this song to italian record executives, almost all of them told me I could do better and that it would sell only a few copies. They were totally wrong: "Dolce Vita" sold more than 4.000.000 copies.